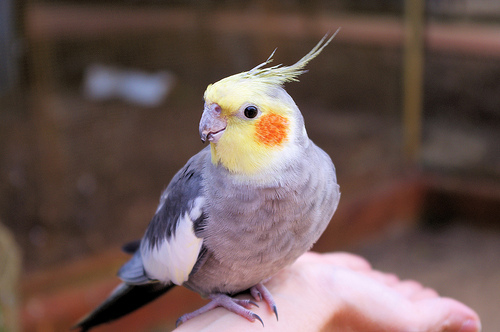 When it comes to pet birds, many pet owners are not aware that the seed mix diet they are feeding their bird is nutritionally deficient and lacking in vitamins in minerals. Well, why do the companies sell them? Why does the label say it's fortified with vitamins and minerals? The pet store sells it... All of these are common responses. So if seed mixes for birds are nutritionally deficient, what else are you supposed to feed them? If you're an expert on birds, you may be able to formulate a nutritionally complete diet for your bird by cooking and preparing meals for them daily, which is great. For everyone else, there's pellets. Pellets are about as nutritionally complete a diet is for birds these days. 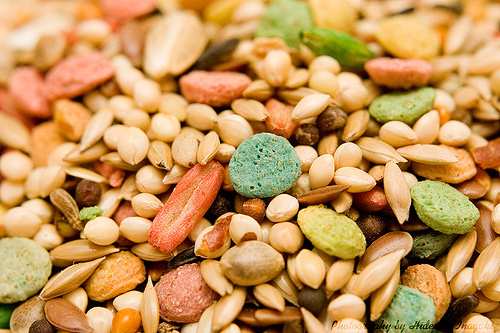 Why Are Seed Mixes Unhealthy for Pet Birds? One common indicator that a bird has a nutritional deficiency can be seen by how quickly their beak or nails grow. 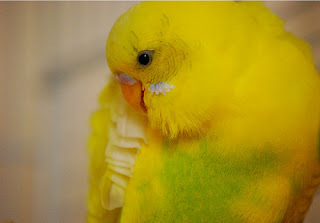 A normal and healthy bird should not need to have their beak trimmed. If their beak grows quickly and needs regular grooming, I can almost guarantee that it's because they are eating a poor diet. Most likely, a diet of seeds. What About the Pellets in the Seed Mix? Some bird owners may defend their bird's mostly seed diet by claiming that the mix contains pellets. Chances are that the bird is picking through the mix and only eating what they like. Pellets are not as tasty as seeds, so naturally the bird isn't going to pick them out and eat them. And while the bag may claim that the diet is nutritionally complete and fortified with vitamins and minerals, take this into consideration... The seeds are "fortified" or sprayed with a coating of vitamins and minerals. Does your bird actually eat the hull of a seed? No. If you have a bird that's been eating seeds all it's life, chances are that they are a seed junkie now. Converting them to a pelleted diet will not be easy. Pellet conversion can be very tricky and some birds even require long hospitalization with tube feedings to make sure they do not starve themselves during conversions. That is just how important converting your bird from seeds to pellets is. I'm not going to go into the details here about how you can convert your bird from seeds to pellets, as there are lots of different ways to go about it. Just know that you should never stop your bird's seeds cold turkey because chances are that they will starve themselves. I will have to save that topic for another day. Many pet owners like for their companions to have some variety within their diet. This seems to be the case for most types of pets. There are lots of healthy things you can give your bird for some variety! There are plenty of healthy vegetables, grains, and some fruits that are great for birds to eat. You can even give them seeds sometimes as treats! Some birds, like cockatiels, actually need a little bit of seeds in their diet. Feeding your bird a treat like one or two Lafeber's Classic Nutri-Berries once a day will help them get the seeds they need in their diet and offer some variety. And those are the main reasons why seed mixes for birds are nutritionally deficient diets. Many people are usually surprised to hear that they've been feeding their bird something that is not really healthy. If you believe your bird may be suffering from a diet related illness, please consult with your trusted avian veterinarian! All of the following bird pellet diets are ones that I have recommended to others with pet birds. Did you know that bird seed mixes were nutritionally deficient? What do you feed your bird? Disclosure: This article contains affiliate links. Clicking the links will take you to Amazon where you can purchase the recommended products. Your purchases through affiliate links help support Pawsitively Pets. I've read in our news that a lot of seed mixes for birds, specially the food what contains nuts and kernels are contaminated with mold spores. Is there any tip, how I can realize if I have good or bad food? I've heard the same thing before. I assume you mean for your wild birds. I guess the best advice I can give for that is to make sure you try and buy the freshest bird seed you can. Wow I had no idea that seed mixes for birds can be so unhealthy! We too had no idea about seed mixes. Interesting. Have a fabulous Friday. That sounds as complicated as feeding a dog or a cat. I am sure it is hard to find the right food for the birds. We don't have a bird here Too many cats. Great info though. It can be kind of complicated... those birdies can be stubborn! Gosh, leave it to humans to mess up seeds! Lol - well I don't think the humans messed them up, but it's just not healthy for birds to eat a seed only diet. A lot of people have no idea though. I gotta find out about those affiliate links so they can support me. MOL! Where can I order the birds? Yummy! Well, Corky was started on a seed based diet way back before Ma every rescued him and try as she might, he absolutely refuses to eat the pellets. Actually, Corky is so finnicky, he won't eve eat the seeds most of the time either so Ma has to go food shopping for the bird. He eats all kinds of fresh and dried fruits, fresh and cooked veggies, a mixture of nuts plus almost anything that a human is eating in front of him including ice cream, Nutter Butter cookies, cheese and crackers, chicken, pork, etc. of course, he will not eat everything all the time...once he has something twice, Ma has to switch it up or he refuses to eat.